Imagine Technologies, first and foremost, is an Internet marketing company. Everything else we do, from search engine optimization, social media development and management, PPC, web site design and development, shopping carts to consulting, supports our mission to help you connect to your client base, build your brand and acquire more customers. With all of these services under one roof, IT can have a big, positive impact on your business. 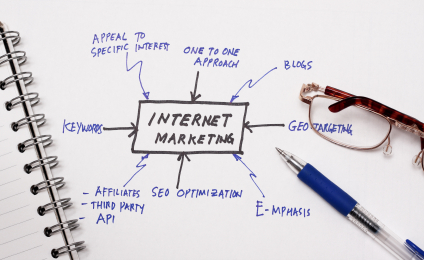 Marketing strategy informs search and social media tactics. Those tactics inform design and development. Then analytics creates a feedback loop that lets us continuously improve your online marketing. It all fits together. And it means you won’t have to coordinate different consultants, designers and developers on your next project. We’ll take care of it. Before you start, you need to make some decisions: What’s your site’s purpose? Who’s the audience? How will you offer them a compelling message? What technologies should you use? Imagine Technology’s strategic consulting services help you make sense of it all, before you invest a bundle. Based on the Conversation Marketing methodology, every Ima campaign is based on achievable goals and return on investment. More Search Engine Optimization, Marketing and Analytics. Once you launch a site, how do you know if it works? How do you improve it? Internet marketing – search engine optimization, pay per click advertising, e-mail marketing and more – is the door, and analytics is the key. Imagine Technologies is a Google Authorized Analytics Consultant. Talk to us, and see the difference we can make. Web creative assets are more than graphics. Imagine Technologies’ award-winning creative team helps clients succeed by applying the four design disciplines to projects: Information, Usability, and Graphic and Contingency Design. What makes the best web sites? Content, and interactivity. Sites that deliver timely information and respond to the user endure. Sites that deliver stale content and ignore visitors fail. Our developers work in HTML, Java, PHP, WordPress, SQL and more to build sites where form and function work together. Our goal at Imagine Technologies is to connect to you and to connect you to your clients. Focusing on the development of social media, the most commonly used social media tools, and how you and your organization can use them to further your work. Customized consulting for you or your organization can be arranged on both an hourly and contract basis.